Need to cross the border? 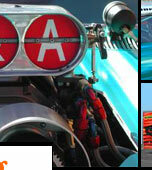 Test and Tune.com is the place for NHRA racers to dial in their race car - online. We offer our members a place to share their time slip information, manage their cars, upload pictures and share technical information. 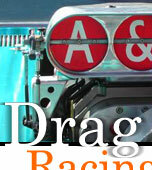 We have also built a strong online community with discussion forums and raceway webcams. Check us out! Welcome SEMA Show Attendees and Members! Sign up here to become an active member of our community of aftermarket enthusiasts. This is your site let us know what you would like to see added or share you ideas, email us. 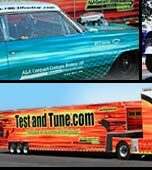 Register and Join Test and Tune.com Now! 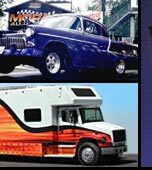 everything from racing to importing and exporting cars and parts. 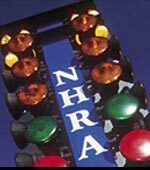 Racing Resources - Gear ratios, HP calculators and definitions. Powered by A & A Contract Customs Brokers Ltd.